Goodreads Teaser: A novella about a boy named Mick, and his struggles with life. His parent's divorce and a friend's suicide, make his world unbearable. Each "cut" has a deeper meaning. 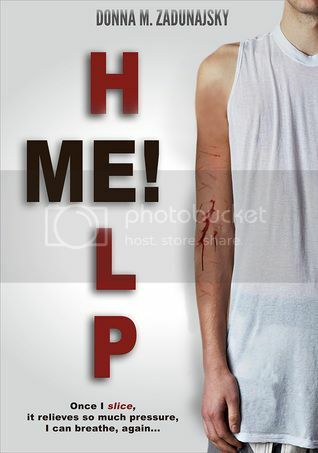 A cry for help. "I spin my dad's Ruger SP101 revolver on the wood floor of my bedroom. Sometimes, just to see what it feels like, I place the tip of the gun against my temple, but I never once pull the trigger. NO!" "I'm more into the slice of the blade against my skin and the blood running down my arm." "It relieves so much pressure." "And I can breathe again..."
I would like to thank Donna M. Zadunajsky/CreateSpace for a copy of this book to review. Though I received this book for free, that has no impact upon the honesty of my review. I have to say I was looking forward to reading this book as it touched on topics I'm intimately familiar with: depression, suicide, bullying. I had hopes that this book would speak to my experiences and feel authentic, feel like a solid tool for others who might be hurting like so many people I know did, and some still do. Sadly I struggled with this novella. Between wrestling with the grammatical errors and the disjointed writing I was hard pressed to get a true feeling for the main characters. I wanted so badly to like, or at least empathize with Mick, but that was apparently not to be. The premise of this book is solid, and deals with a terribly important issue; unfortunately the writing simply lost me. I think the author was trying to hard to channel a character that she simply wasn't connecting with herself, for the text skipped all over the place. While that may been a deliberate choice, designed to show how Mick was thinking, it needed to be shown in a different manner. Instead of making me feel as if I was in his head or at least there with him, instead I felt like I was listening to a story on the radio that kept getting lots of static interference, causing me to miss vital parts. Having the book told from two points of view was nice, and Layla's voice felt much more authentic to me. I had no trouble believing that she was an eighth grader, even those times when she did sound a bit more mature than I'd have pegged her. Using her as a pivotal point in Mick's story was smart and made sense, yet the reactions didn't really read as being realistic to me. Somehow either things were left out, or glossed over, thus detracting from the overall impact of the story. On the positive side there were some good lessons and guides contained in this story, so hopefully it has found a more positive reception from younger readers. 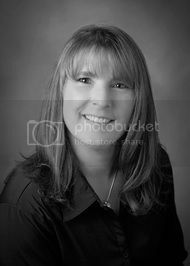 Donna Zadunajsky was born and raised in Bristolville, Ohio, and resides in Illinois. She's written seven children’s books that are about her daughter, and all the adventures that she's done in her young life. They're currently on the Barnes and Noble and Amazon, and at www.littletscorner.com., available in eBook and paperback. She spends her time writing short stories as well as novels. She published her first novel, “BROKEN PROMISES,” June 2012, second novel, “NOT FORGOTTEN”, and recently her third novel, FAMILY SECRETS, "Secrets and Second Chances, Book 1". Besides writing, she enjoys spending time with her fourteen-year-old daughter and husband, their two dogs and two cats. She enjoys reading, working on crafts. and scrapbooking. She graduated from The Institute of Children’s Literature, in spring 2011.